Paris moves to Nantes Tuesday night for this match late in the 28th day of Ligue 1. 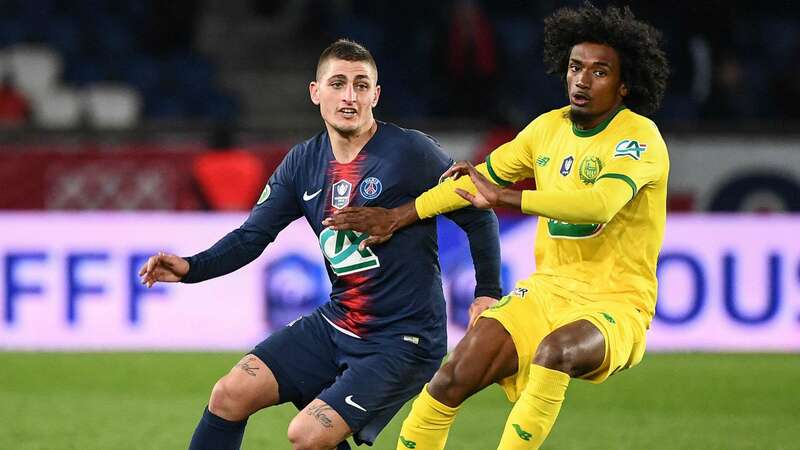 Nantes must ensure its maintenance mathematically while the PSG wants to win the title. Nantes does not make an excellent season and is placed only a disappointing 15th place, still 9 points of the first relegation. But the last weeks of the championship are difficult for the Canaries who had just chained 4 defeats of rank against Reims (1-0), Lille (2-3), Paris in Cup (3-0) and Toulouse (1-0) . But Friday, the partners of Valentin Rongier returned to success by dominating a Lyon team in crisis. For its part, the PSG seemed to have well digest his elimination in the 1 / 8th final of the Champions League by Manchester United (1-3). Then, the men of Thomas Tuchel had chained with 4 success against Dijon (0-4), Marseille (3-1), Toulouse (0-1) and Nantes in the Coupe de France (3-0). But while they could secure the title mathematically, they were stopped at home by Strasbourg (2-2) then suffered a huge stunt in Lille Sunday night (5-1). Side Nantes, Pallois should make his return suspension unlike Girotto who should still miss this meeting. Attackers Esseyric and Mance are still unavailable. For Paris, it is the rout. Holders Neymar, Cavani, Marquinhos, Thiago Silva and Meunier are packages. Bernat and Verratti are suspended. In addition to that, Tuchel, who will also be suspended for this meeting, decided to do without Mbappé for this meeting. Nantes: Tatarusanu – Fabio, Ie, Diego Carlos, Traore – Rongier, Toure, Moutoussamy – Boschilia, Coulibaly, Majeed. PSG: Buffon – Dagba, Kehrer, Kimpembe, Kurzawa – Dani Alves, Paredes, Draxler, Diaby – Nkunku, Choupo Motting. Nantes can take advantage of the many Parisian absences to, why not, win in front of its boiling fans.